Until Android or Windows tablets match the range and quality of iPad’s app ecosystem they will continue to be a very small niche. Right now I don’t think this is possible unless Apple stumbles for a year or two. I have long espoused that there is no tablet market, just an iPad market. But with the introduction of the Kindle Fire and to a lesser degree Nook Tablet there is a competitive threat to be dealt with. Both Amazon and Barnes & Noble were smart to not take on Apple straight up as Samsung and others have done, and failed, with Android tablets. No, they developed highly customized user experiences centered around reading and content consumption and carved out a foot hold with price. And like what Android did with smartphones over time, you can extrapolate the same course might be taken in the tablet space with incremental improvements and “good enough” solutions at prices half or less Apple charges for the iPad. 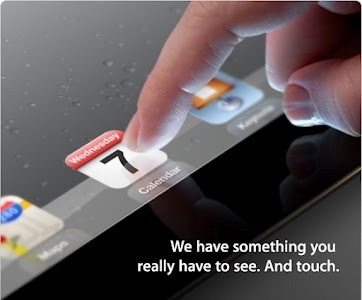 So it will be interesting to see what Apple does next week when they announce the iPad 3. Rumor has it they will keep the iPad 2 on the market as an entry level device and might even field an 8 GB model. That would be most interesting but to fully disrupt the nascent tablet market they would have to hit the $299 price point. Since refurb original iPads sell for that today it would be conceivable that the 8 GB iPad 2 could retail as low as $299. If that’s the case, game over even for the Kindle Fire. There is also a ridiculous rumor Apple will announce a 7.85 inch iPad before the holiday season at $199 to compete head to head with the Kindle Fire. This is just not how Apple rolls, especially since they are sure to introduce a new resolution for developers to deal with, so I still think it is more likely to see a 4 inch iPod Touch at the end of the year based upon the iPhone 5. This would retail in the $199 price point but would not run iPad apps. I think Apple could command at least $100 over competitors especially if they are delivering a larger and more capable device. We’ll see what happens next week but this will fully play out over the next 6 months.